The cold season is set in and it’s likely your Commercial HVAC System in your Southern NJ business is already being used heavily. Since we live in a part of the country that is nice and cold during the winter, we can wind up spending a lot on heating our businesses. Since the cost to heat our businesses continues to rise every year, you could find that you are paying twice as much to heat your business. But there are things you can do around the commercial building to help you save some of this cost. Your business building, unless brand new and built tight will have areas where heated air is leaking out. The first thing you can do is to be sure you identify any areas where it does. Check around your doors, windows and any other possibly drafty areas. Your professionally trusted Southern NJ Commercial HVAC contractors can guide you on how to complete this handy task to save on energy. If you find areas that need to be sealed, there are many ways to close off leaks. You can caulk, weather strip or seal drafts off with plastic. Steel wool can be placed in holes to also keep out rodents or mice. Put door sweeps on all of your outside doors to help seal them. And, if your Southern NJ business isn’t properly insulated, the additional money spent to insulate it will pay for itself when you recover it in energy savings to heat the building. The more you prevent heated air from leaking out, the more you will save on your energy usage. Most people never think of this, but you should also be sure you are minimizing your use of ventilation fans and kitchen hood fans during the winter. Even one small bathroom fan can draw all of the warm air out of an average sized Southern NJ business in a little over an hour. 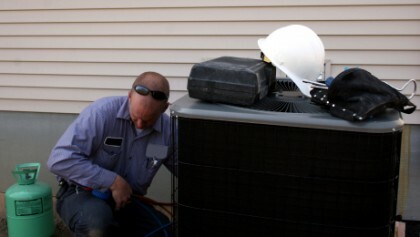 Your HVAC System will be working hard all season long. You’ll get the most energy efficiency from it if you have it tuned up at least once a year. You’ll also be increasing your furnace’s lifetime. Properly cleaned, lubricated, adjusted, and tested, the furnace will produce more heat much faster than a dirty, un-maintained furnace. If it’s been a few years since you’ve replaced your thermostat, you may not realize how much energy you’re wasting by still relying on your old one. The older they get, the less reliable the thermostat is. The thermostats of today let you have better control over your indoor air environment including heating, cooling, and indoor air quality or humidity control equipment. We help you find a better thermostat than you can even control over the internet or via your smartphone. 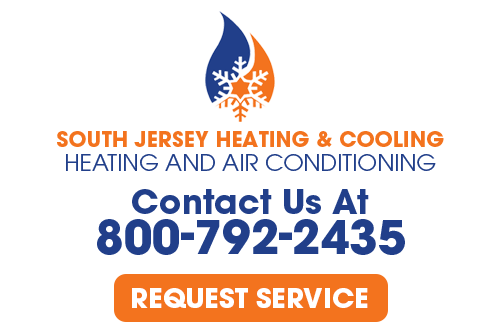 If you are looking for more Ways To Save Energy in the Southern NJ area with your Commercial HVAC System, please call South Jersey Heating and Cooling at 800-792-2435 or fill out our online request form.